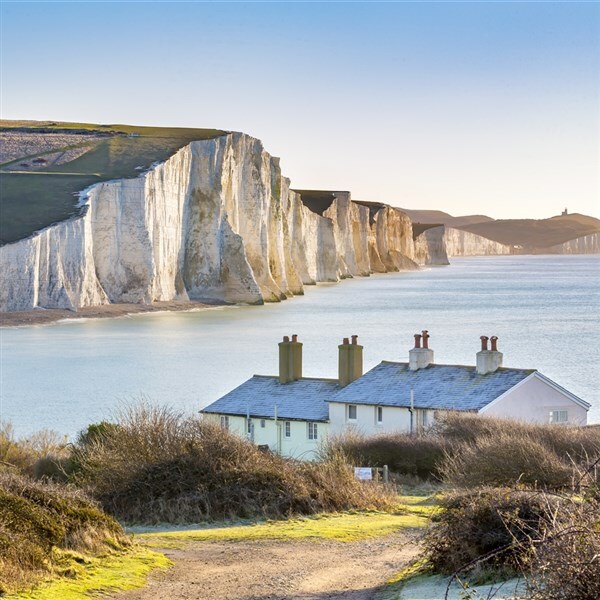 Sussex is a wonderful county to visit gardens, as well as being one of the sunniest places in England, it offers rolling countryside, hidden villages and great coastline. 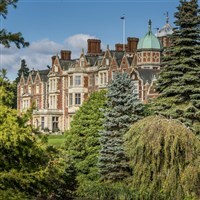 Our tour includes excursions to Borde Hill Garden and Nymans Estate, as well as Brighton and Chichester, so there's something for everyone. Sussex is a wonderful county to visit gardens, as well as being one of the sunniest places it England it offers rolling countryside, hidden villages and great coastline. We depart from your home with our exclusive door to door pick-up service and join your tour coach and travel south to Worthing. We arrive at the hotel with plenty of time to settle in and perhaps take a stroll along the promenade before dinner this evening. 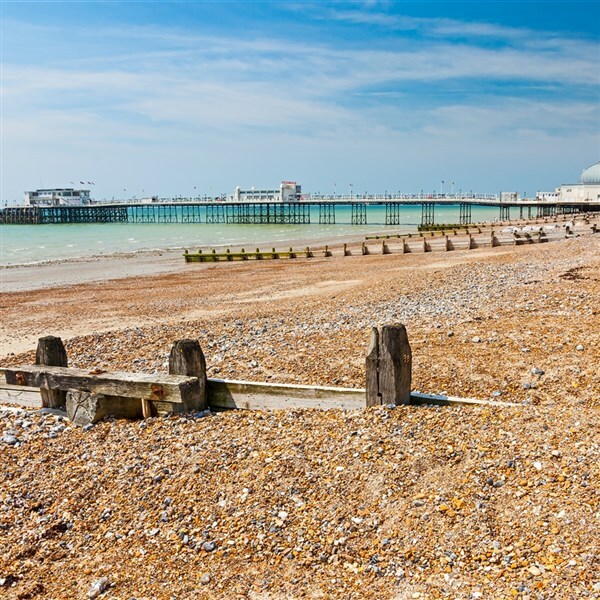 We enjoy a leisurely tour along the Sussex coast to the bustling resort of Brighton. 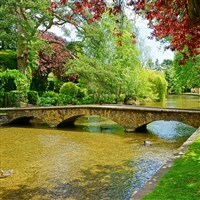 Take time to stroll through the Lanes full of antiques or visit the Royal Pavilion with its exotic oriental appearance. This afternoon we visit Borde Hill Garden. Set within an Area of Outstanding Natural Beauty with spectacular views over the Sussex Weald and the Ouse Valley, Borde Hills grounds extend to over 200 acres across the garden, woodland and parkland. The 17 acres of formal garden are designed in a series of outdoor rooms, each with its own distinctive character, colour and scent. The garden is constantly evolving with new plantings and designs to add to variety, colour and interest throughout the year. In 2019 the sculpture exhibition is on display as the garden turns into an outdoor gallery. The carefully selected sculptures are placed throughout the 17-acre formal garden, working in harmony with the renowned horticultural collection that has put Borde Hill on the map. We return to the hotel for dinner. Today we visit the popular resort of Eastbourne calling at Beachy Head en-route. 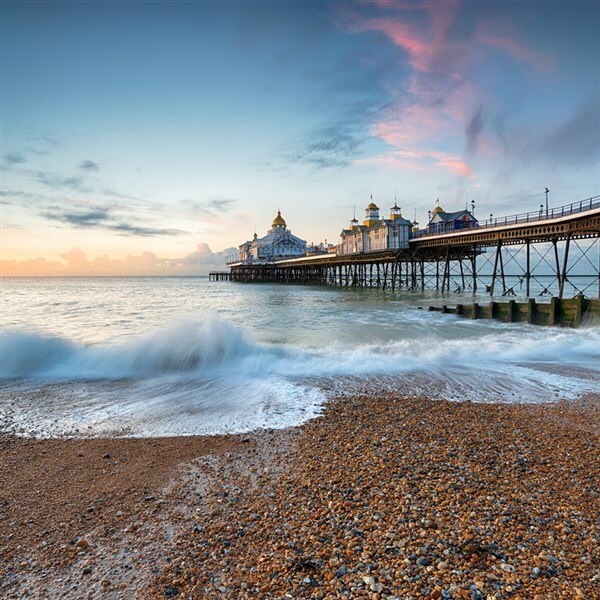 Eastbourne has long been a popular seaside resort with its colourful gardens and elegant seafront. Leaving Eastbourne we visit Lewes with its medieval streets and alleyways before returning to the hotel for dinner. After breakfast this morning we travel to Nymans Estate. This is a garden lovers home for all seasons, with an extensive yet intimate garden set around a romantic house and ruins. 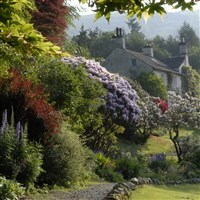 In the late 1800s Ludwig Messel bought the Nymans Estate to make a dream family house. 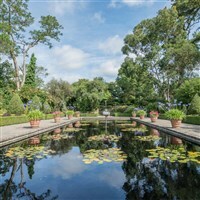 Inspired by wooded surroundings he created a garden with plants collected from around the world. The house was partially destroyed by fire in 1947 and the romantic ruins of a fairy-tale Gothic mansion remain. From here we head to Chichester for free time. Blending old and new, Chichester offers an enticing mix of designer label boutiques, high street shopping, renowned art galleries and contemporary cafes. This morning we enjoy our last breakfast before travelling home with comfort stops enroute. Set on the promenade within the town centre of Worthing, the Chatsworth Hotel is a grade II listed building steeped in history with a Georgian frontage. 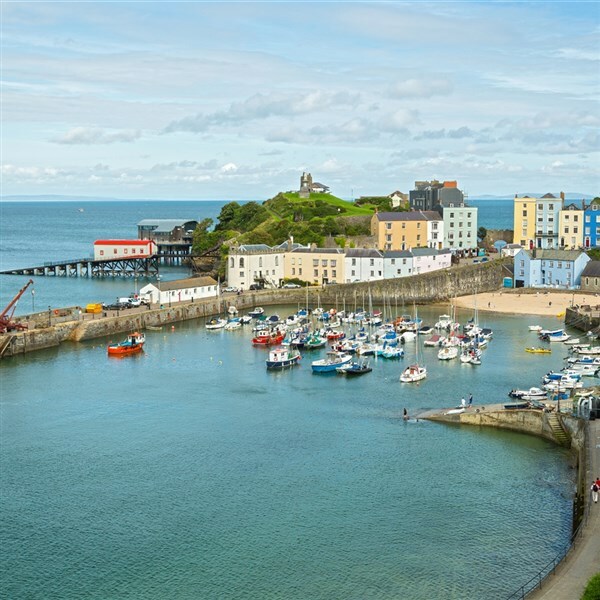 The hotel has 97 bedrooms, all varying in size and appearance but all tastefully decorated, may overlook the Steyne Gardens. 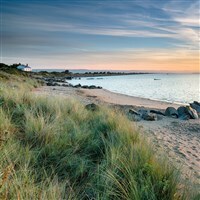 Begin your holiday with a home pick-up, join your tour coach and travel south to Worthing. We arrive at the hotel with plenty of time to settle in and perhaps take a stroll along the promenade before dinner this evening. We enjoy a leisurely tour along the Sussex coast to the bustling resort of Brighton. 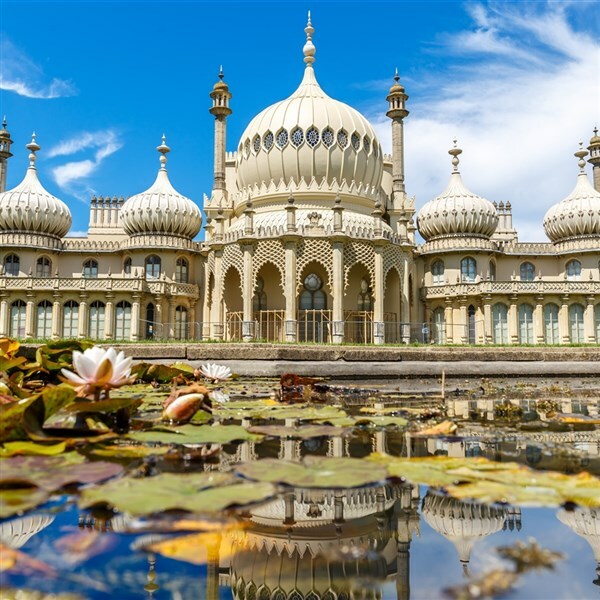 Take time to stroll through the Lanes full of antiques or visit the Royal Pavilion with its exotic oriental appearance. This afternoon we visit Borde Hill Garden. Set within an Area of Outstanding Natural Beauty with spectacular views over the Sussex Weald and the Ouse Valley, Borde Hill's grounds extend to over 200 acres across the garden, woodland and parkland. The 17 acres of formal garden are designed in a series of outdoor 'rooms', each with its own distinctive character, colour and scent. 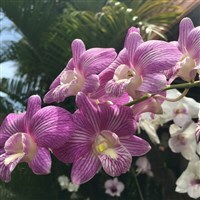 The garden is constantly evolving with new plantings and designs to add to variety, colour and interest throughout the year. We return to the hotel for dinner. After breakfast this morning we travel to Nymans Estate. This is a garden lover's home for all seasons, with an extensive yet intimate garden set around a romantic house and ruins. In the late 1800s Ludwig Messel bought the Nymans Estate to make a dream family house. Inspired by wooded surroundings he created a garden with plants collected from around the world. The house was partially destroyed by fire in 1947 and the romantic ruins of a fairy-tale Gothic mansion remain. From here we head to Chichester for free time. Blending old and new, Chichester offers an enticing mix of designer label boutiques, high street shopping, renowned art galleries and contemporary cafes. 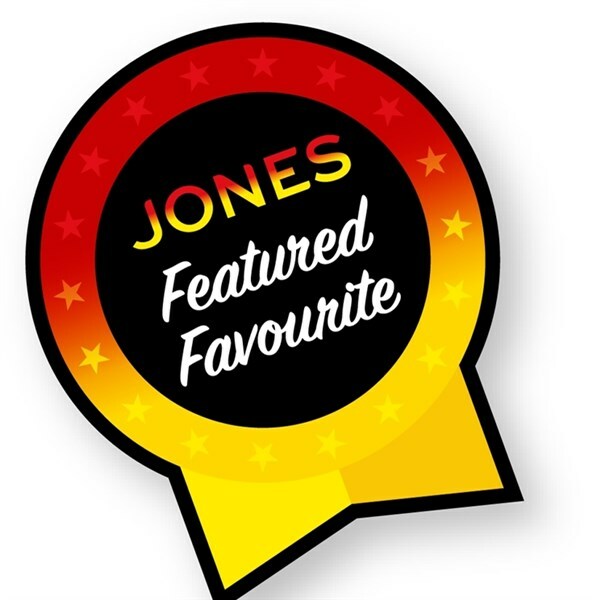 "The care and attention given by our driver Joel was exceptional"
"Driver brilliant very helpful and always cheerful could not have been better"
Rooms are allocated on a first come first served basis and are limited. Additional costs may apply. Prices displayed are per person unless otherwise stated. Itineraries and hotel inclusions may be subject to change.